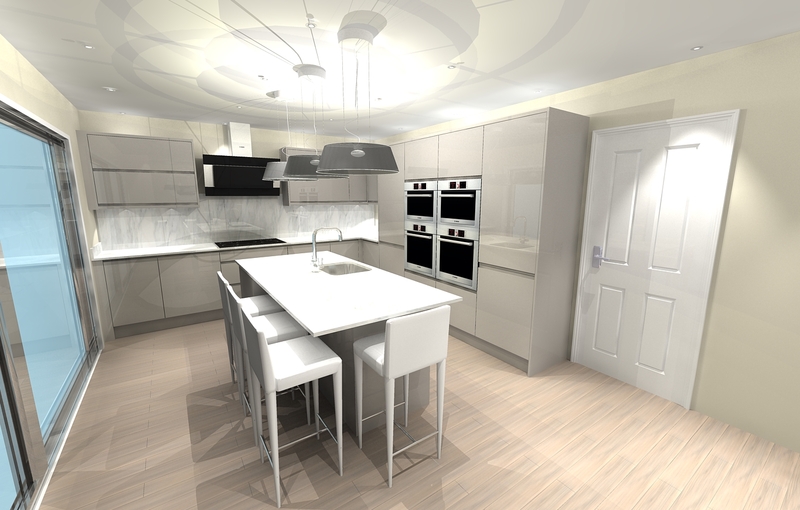 We complete CAD designs to show you how your kitchen may look, here are from this Kitchen Design. Miss Shackleton had a 16 year old kitchen diner with a separate dining room and utility room. 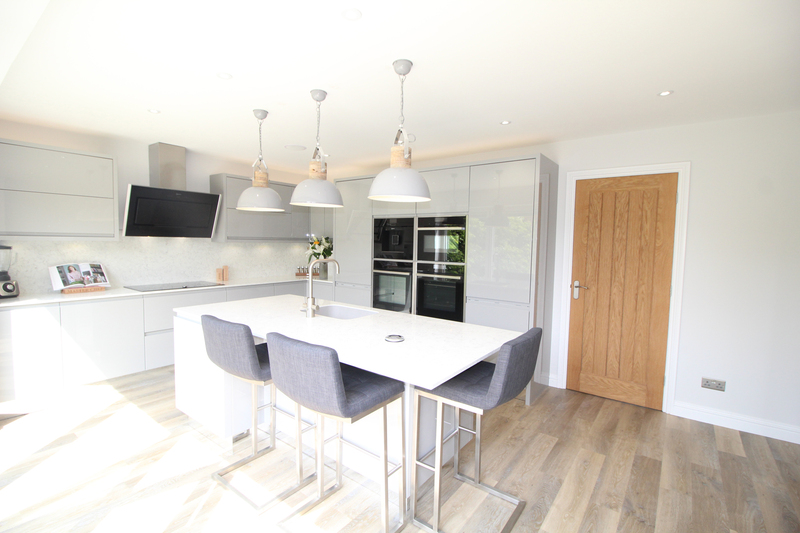 Miss Shackleton wanted a modern open plan kitchen diner with matching utility room, modern appliances, functional island and walls knocking down to create an open plan space. 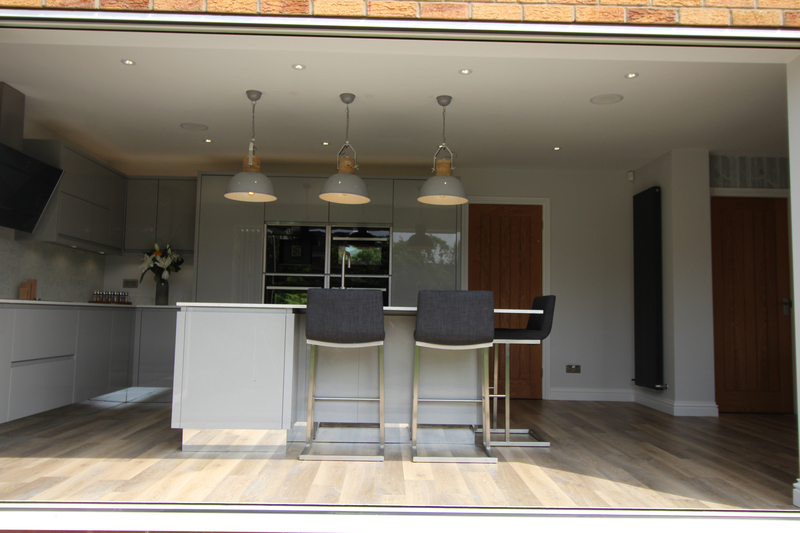 In addition the replacing of patio doors with large bi-folding doors and a built in seating area for entertaining. After a site visit and taking measurements of the space, noting the various work needed such as replacing doors and removal of interior walls, we worked on several CAD designs to meet the customers’ requirements and offer a number of design options. 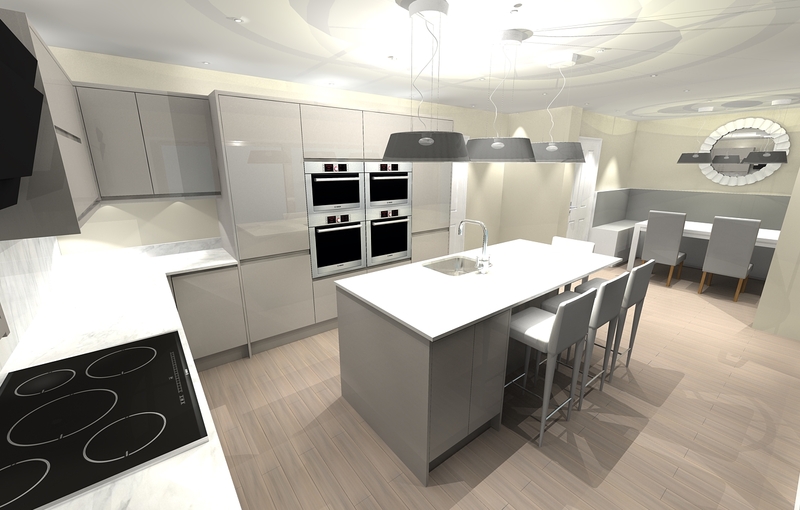 The final design included a modern gloss grey kitchen with contrasting Silestone worktops, Kardean flooring, Neff appliances, Abode 4 in 1 tap with boiling water function. We also worked with local joiners to build the dining seating area. We worked with local businesses to source the Bi-folding doors and removal of the interior walls, this also required a supporting steel. The ceilings then required plastering and fitting of the ceiling lights in which we used our tradesmen. The whole team at Pocklington were really pleased with the overall outcome and felt the customers brief was met. Miss Shackleton felt extremely satisfied with the level of service and professionalism from start to finis and is very pleased with their kitchen diner and utility. After the initial discussions and visit to the house, Pocklington kitchens created a number of designs suiting the brief. They really captured what I had envisaged. 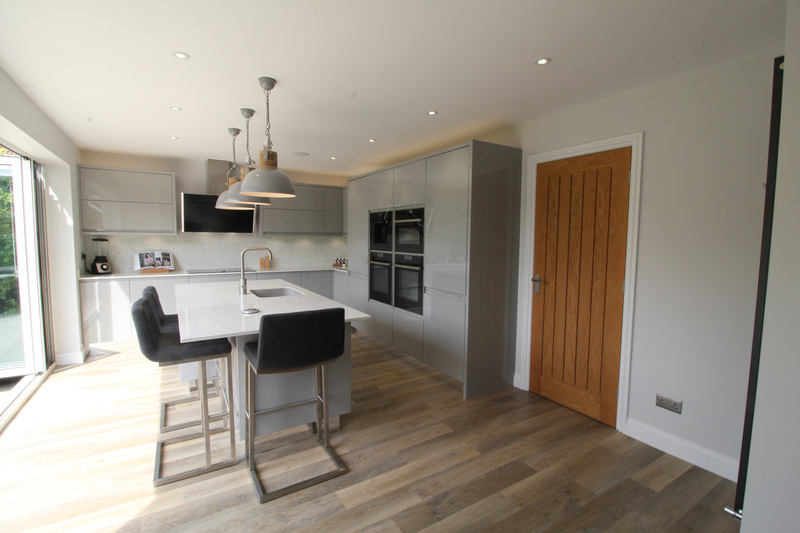 After choosing the final design we then selected the final details and finishing touches to suit our budget and compliment the kitchen design. 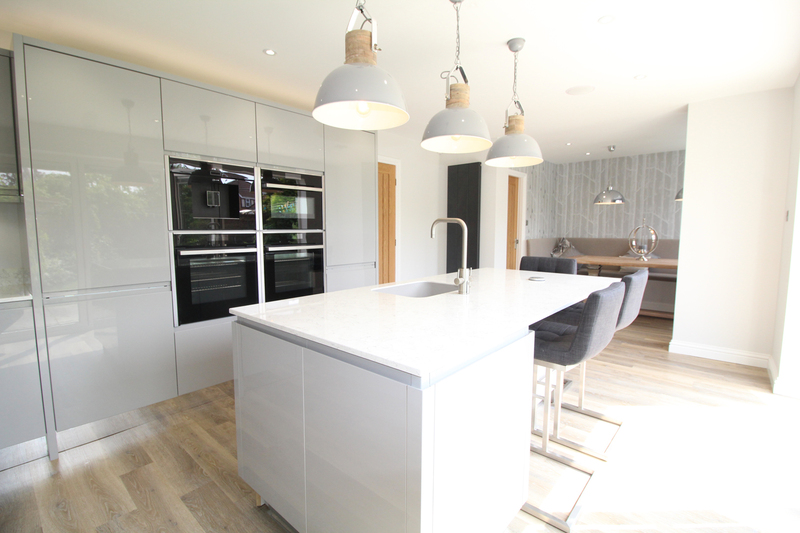 Pocklington kitchens managed the entire project from start to finish, keeping us up to date with the progression throughout. The result was most impressive.